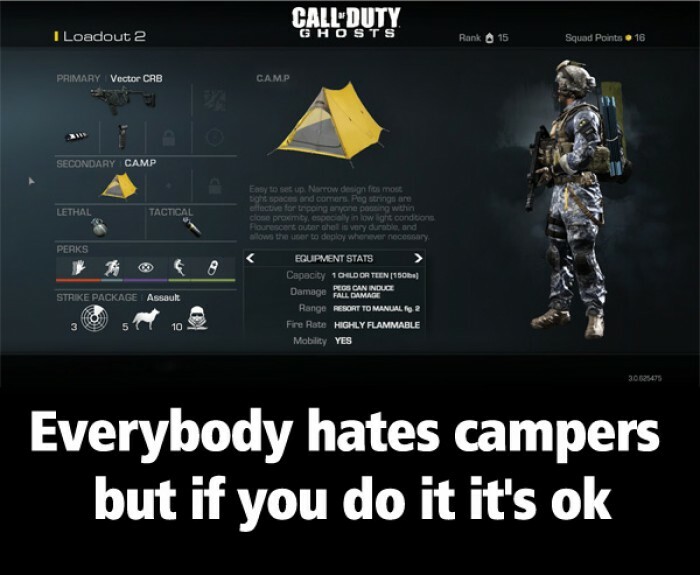 Everybody hates campers but if you do it it's ok. A term given to those in an online multiplayer game (usually FPS) who will place themselves in a strategic position and wait for an extended period of time until a target enters his field of view. The position usually allows one to surprise the target and allows the "camper" to eliminate him with ease. There are variants of this such as camping an item to repeatedly gain its benefits and defending a critical location. Camping is a perfectly legitimate strategy, but is criticized by a majority of the online community, usually because players get frustrated by being killed in such a fashion, it slows the game down and is considered an unskilful art. Idiots always resort to insulting a camper, who will most likely have a higher score than them. 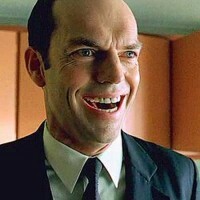 Incompetent admins sometimes kick them and the camper society becomes one of ridicule and resentment.